One of today's topics is More Than Just Words, focusing on the works of books that use more than just your traditional words to tell a story. 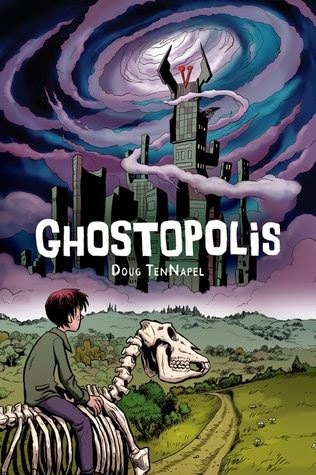 Tif of Tif Talks Books is a fan of these non-traditional books and is here to share a few recommendations for you in the graphic novel/comic format. Many years ago in a state far, far away from where I currently reside, I took a college course that introduced me to my first graphic novel. 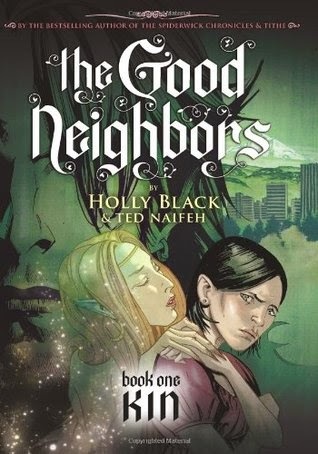 I was so impressed with the format and the complexity of the multi-dimensional story that I knew that I had to read more. Sadly, it took me many more years to return to the format all thanks to a push from my local library that had an amazing graphic novel selection. Now more than three years later, I am devouring as many graphic novels and comics that I can get my hands on! I simply cannot get enough of the format. I have discovered throughout my reading journey that many people do not believe that you can get a high quality story out of a book meant for adults and filled with pictures. I completely disagree. In some books, I think you can get so much more . . . symbolism that you cannot always put into words, artwork that you can stare at for hours and still find something new, and small minute details that are important to the story to name just a few. 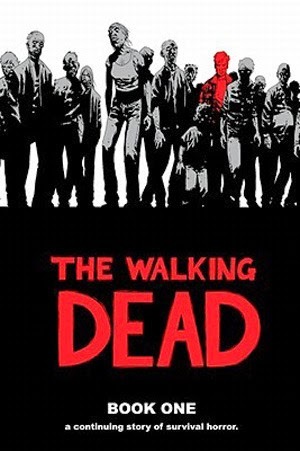 Today, I share with you a handful of suggestions featuring both graphic novels and comics (I use these terms interchangeably today, though they are different). Look for the genre that you typically read, then check out the book that is recommended for you. For those who like the undead . . .
For those who prefer superheroes . . .
For those who like to get lost in the fairy realm . . .
And, just in case you need a little more convincing, I wanted to provide you with a little more inspiration from one of my personal faves . 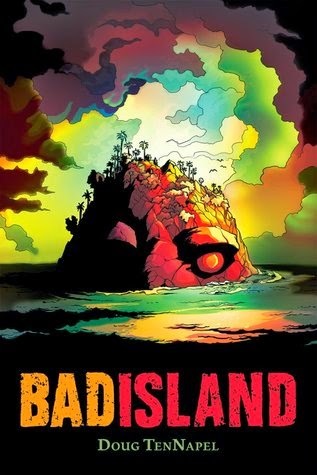 . .
Now that I have shared my recommendations, fellow graphic novel/comic fans chime in. What books would you recommend in the different categories? Did I miss a category or must-read that you want to add? Tif has been blogging at Tif Talks Books for seven years. She is also one of the original co-founders of Armchair BEA as well as a co-creator of Book Bloggers International. In her spare time, she does a bit of freelance writing, shoots a lot of pictures, and spends time with her family. Rachel Noel ... You're welcome! And, thank YOU for adding your own recommendations! I'm writing these down right now! Time Magazine rated The Watchmen by Alan Moore and Dave Gibbons as one of its 100 Best English-language Novels published since 1923. I haven't read it, but it is one of my husband's favorites. I would also add Alison Bechdel's graphic memoirs, Fun Home and Are You My Mother? Rachel Reads ... Thanks for the additional recommendations! I have personally read The Watchmen. To be honest, it is not one of my favorites, but it is definitely a significant book in our history! This is great. 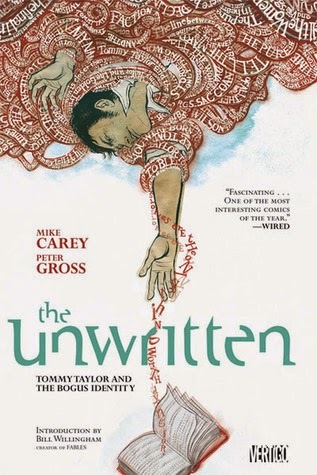 I'm really gaining a lot of love for graphic novels, and reviewed three on my blog today. In the memoir section, I Remember Beirut is fantastic. Similar to Persepolis. And for YA, In Real Life is so cool, and focuses on gaming culture, gold farmers and the socio-economic interplay. I definitely want to try Chew and Stitches! Love, love, love Saga! Great post too, I love all the recommendations. AmberBug ... I love, love, love Saga so much!!! I really need to get my hands on the latest copy actually! Steph Gorelenore ... Definitely recommend Saga! I really was not expecting to love it, thought I would actually not care for it, but was taken completely by surprise. Great recs, Tif! 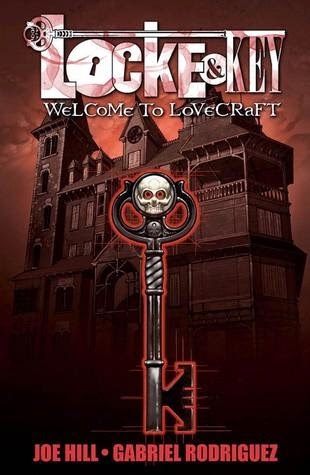 I SOOOO want to start Locke and Key. Now if only I can sucker someone into giving me a gift card for July 4. LOL Otherwise, I feel too guilty. Leila from Readers' Oasis ... There really is so many wonderful things out there. 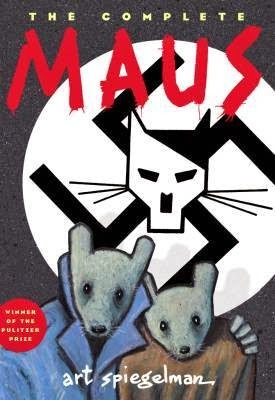 Personally, I think Maus is one of the best that you will ever find, so don't compare everything to that one! BUT, there are other really good ones out there. 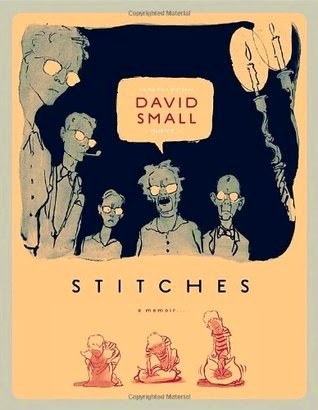 Since you are into memoirs, Stitches may be another good one to go with too! Kristina ... Glad you found some good recommendations to check out! Fables is one of my favorite series and I'm almost all caught up with the spinoffs now! Interesting post. I read the comics when I was a kid but haven't gravitated toward the graphic books yet. I don't really know why. I enjoy most types of books. I'll have to wander through through those bookshelves on my next trip to the bookstore. Thanks!. Vikk @ Down the Writers' Path ... I definitely recommend that you give them a try! 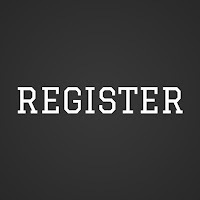 There is so much out there for every genre and interest that I'm sure that you can find something right up your alley! FICTION STATE OF MIND ... Thank you so much! Bex ... I adore Fables! Which one are you currently reading? I've read all by the latest volume. I'm adding all your other suggestions to my personal list, except Watchmen. I've already read that one, though I think it deserves a re-read. 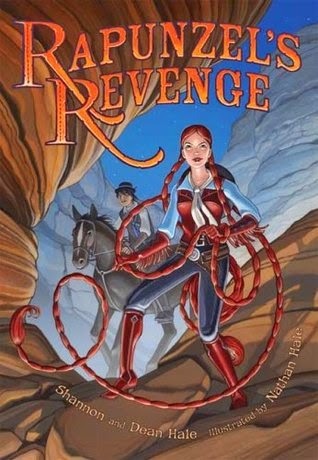 I have always wanted to venture into graphics novels, and I am happy to say I have my first book to review in July. I look forward to it, and more. Thanks for the recommendations! fredamans ... Yay!! I hope you love the graphic novels. 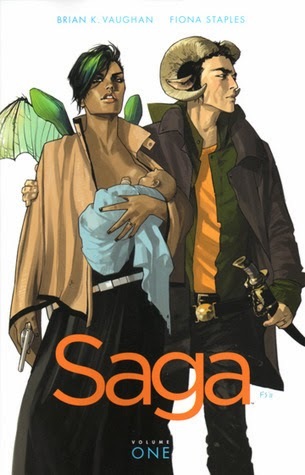 I've never heard of Saga but it looks interesting. I will have to check it out. I read Maus. Loved it! Allison Bruning ... Saga is really great! I definitely recommend you check it out. Sullivan McPig ... Ohhh, thanks for the recommendations! I will definitely be checking these out. Marcey @ Readical ... I thought volume 2 was even better than the first. I need to get my hands on volume 3! These are all great suggestions! 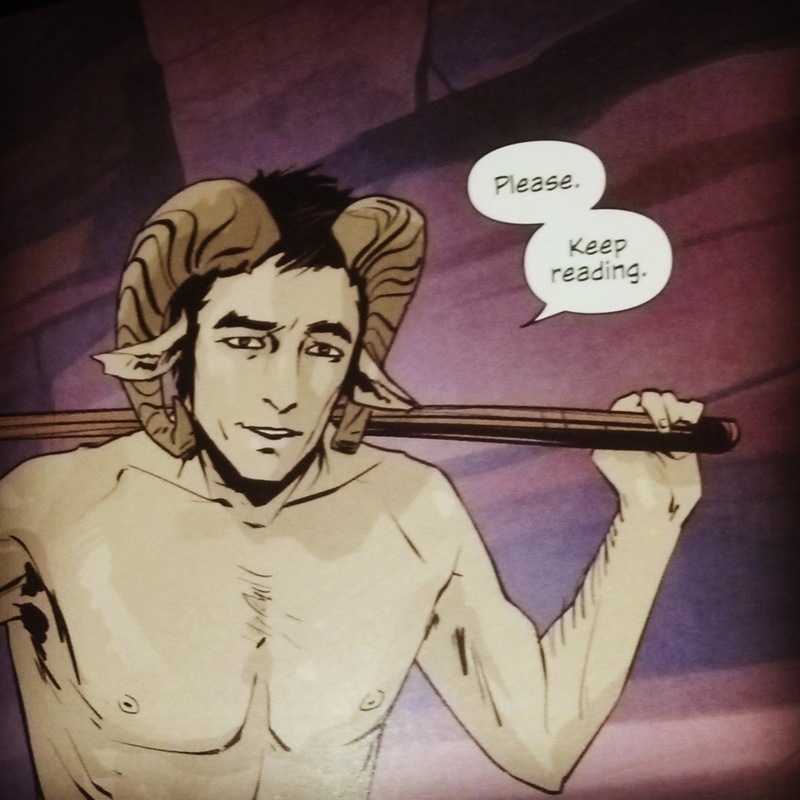 I'm a huge GN and comics reader - Saga and Chew are my favorite ongoings right now, and I'm so happy to see them get some love! 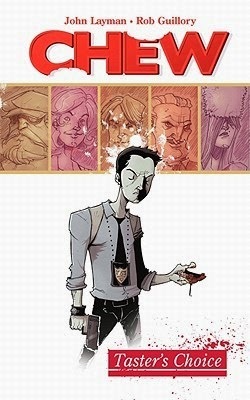 I would also recommend Return of the Dapper Men (Janet Lee's art is amazing, and it's loosely based on Romeo and Juliet) and Asterios Polyp. jessi ... Chew really grossed me out to begin with because I had no idea what I was going into! But, I am still reading! I think my next one will be the fifth volume. I'm writing down these other titles to check out. I'm always on the lookout for more! Yeah, most of my friends are freaked out by the cannibalism aspect, but the humor draws them in. :) You should also check out the new Ms. Marvel series. It's a monthly, so the first trade won't be out for a bit, but the art is gorgeous. This post includes three GNs I've been meaning to pick up for so long now. Thanks for the reminder! Trisha .... Which ones?!? And, you're welcome! 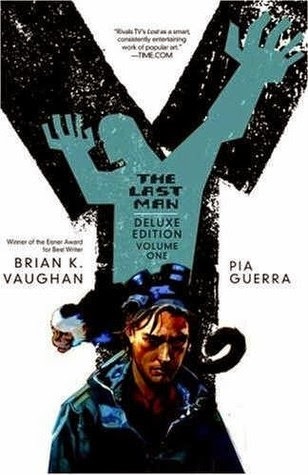 Great post and yes and yes on the quality of the graphic novel. They have everything the fully worded novel does...character arcs, setting, plot. And that includes many middle grade graphic novels which the students at my school love! Bone and Amulet just to name two. 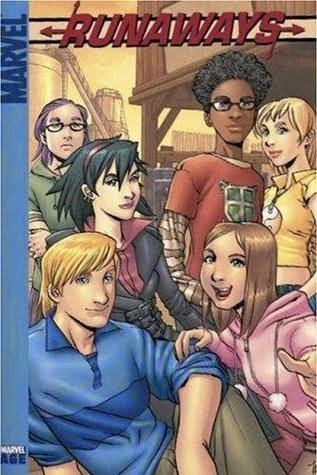 Oh and Tommysaurus Rex and Rick Riordan's Percy Jackson series...well, as you know, I could go on and on, lol. Thanks for sharing! Deb @Read Write Tell ... Yes!! I have read Bone, and I thought the last third of the series was the best of the bunch. I've been eyeing Amulet for a while, but haven't read it yet. I just read Tommysaurus Rex not too long ago and will be reviewing it on my website in the next couple of weeks. Huge fan of Doug TenNapel!! 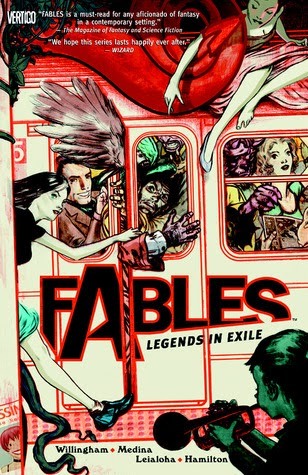 I need to read Fables! I had never heard of it until Armchair BEA because everyone is recommending it in their posts! Courtney Reads A Lot ... You definitely need to read Fables! I know I will have a lot more on my TBR pile now. I read soooo many comics and graphic novels all the time! Angela's Anxious Life ... I know my list is growing! Did you want to add any more titles to my list? Natalie A ... So glad you love it! Now I gotta check out your post!